The first ever German World Poker Champion has been crowned in the Penn and Teller Theatre at the Rio in Las Vegas this week. He is only 22 years old and it was an epic, record-breaking, heads up battle with the Czech Martin Staszko that lead to Heinz taking the crown home to Germany. He came into the final table 7th in chips and all the bookies had him outside in the odds. 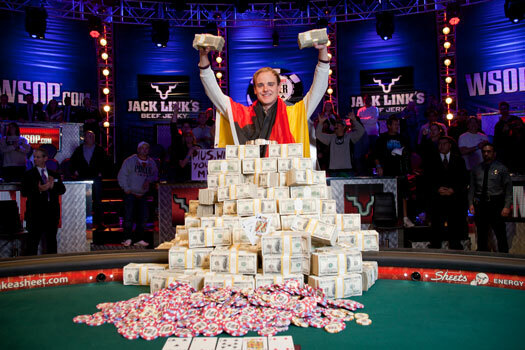 For winning pokers biggest and best tournament Puis Heinz will take home USD$8,715,638, the third largest cash in history. For Australians playing in the World Series of Poker Main Event, there were 80 represented. Only 5 made the cash.